Ten original dramatic woodcuts, wood engravings and lithographs that Gauguin created on his journeys to Brittany, Martinique and Tahiti will be the centerpiece of the Museum of Botany & the Arts, along with archival photographs of Tahiti by photographer Charles Georges Spitz (1857-1894), historic maps of Tahiti produced by explorers, historical photos of the colonial pavilions of the Universal Exhibition of 1889 in Paris, and other ethnographic sources that shaped Gauguin’s vision before he even set foot in Tahiti. 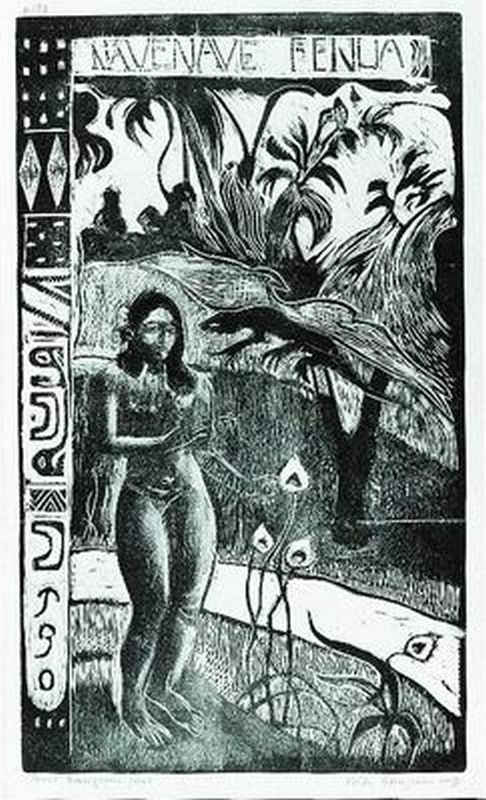 Paul, Gauguin, Nave Nave Fenua (Delectable Earth), Wood engraving and woodcut, no. 73, 1894–95, The Vera and Arturo Schwarz Collection of Dada and Surrealist Art in the Israel Museum, Jerusalem. In the Tropical Conservatory, and throughout the Gardens, guests will encounter the colors of Gauguin’s well-known palette represented by flowering plants and lush, tropical displays of palms, ferns and fruit trees. Additional items such as floating canoes, a thatched hut and tropical pond, sentinel totems inspired by Tahitian tikis, huts reminiscent of Tahitian seaside fishing villages, a lush taro field and bamboo mountains will evoke Polynesian scenery. 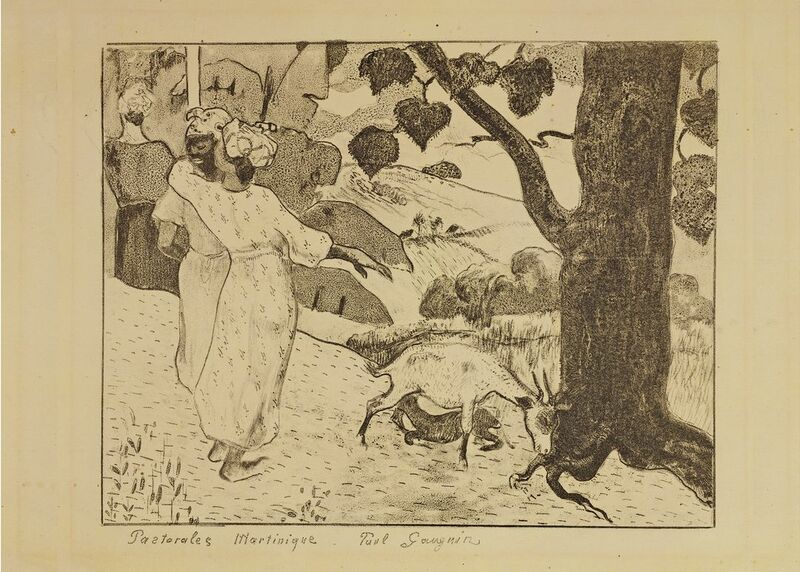 Significance: The exhibition will provide a comprehensive focus on Gauguin’s woodcuts and his connection with nature, a viewpoint on Gauguin that has never been exhibited in a natural setting before. Curator: The exhibition is curated by Carol Ockman, Ph.D., curator at large for Selby Gardens and the Robert Sterling Clark professor of art history at Williams College.